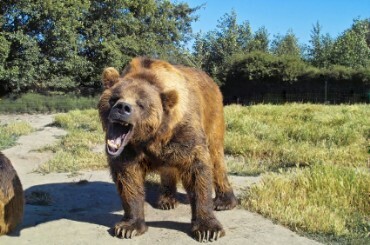 California State Animal: The grizzly bear is California's state animal. There are no more wild grizzly bears in California. Most grizzly bears live in Canada and Alaska. Grizzly bears are also called brown bears.